NS Recipes's Search engine can have many different parameters. NS Recipe comes with easy-to-setup, powerful search features. 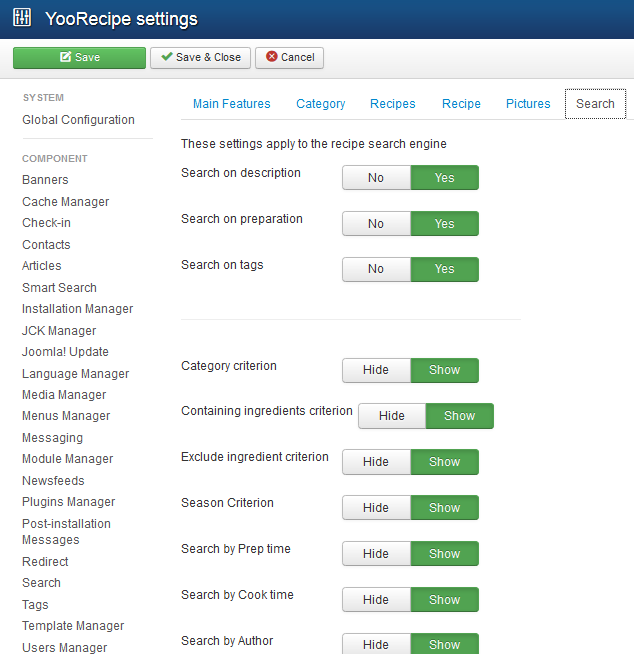 Your users can search recipes from the search module, a search menu item page or from Joomla native search (using search plugin). You are going to learn how to configure all of these search methods. In NS Recipe Component options, you can set parameters that have a direct impact on how the search is performed. 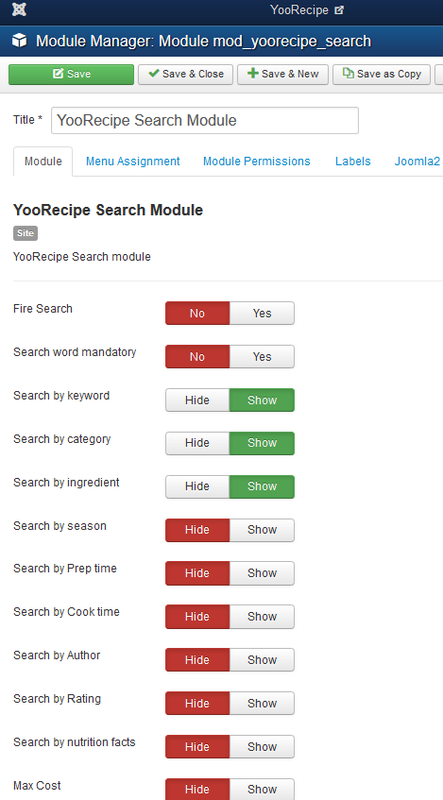 As shown below, searches can be performed on the recipe title AND/OR recipe preparation field AND/OR recipe description field AND/OR recipe tags AND/OR recipe ingredients. These settings apply to NS Recipe modules ONLY (mod_NS_Recipe_search). Basic Options tab enables you to decide which fields should be displayed in search form. Labels used in search module can be over-ridden from module options. Tip: Multi-language website owners should not use this feature, and should prefer override labels, as explained in Customize NS Recipe labels article. This is an easy one. Search plugin does not need a setup. After installation, this plugin only needs to be activated. Please refer to NS Recipe Installation Guide for more information.